With the Mediterranean Sea only about a 30-minute train ride away, I guess that puts us into the climate with the same name. There’s a diet that goes with that too, featuring fresh foods we find in abundance grown around us such as fruits, vegetables, olive oil, fish, and red wine, but that’s for another blog post. 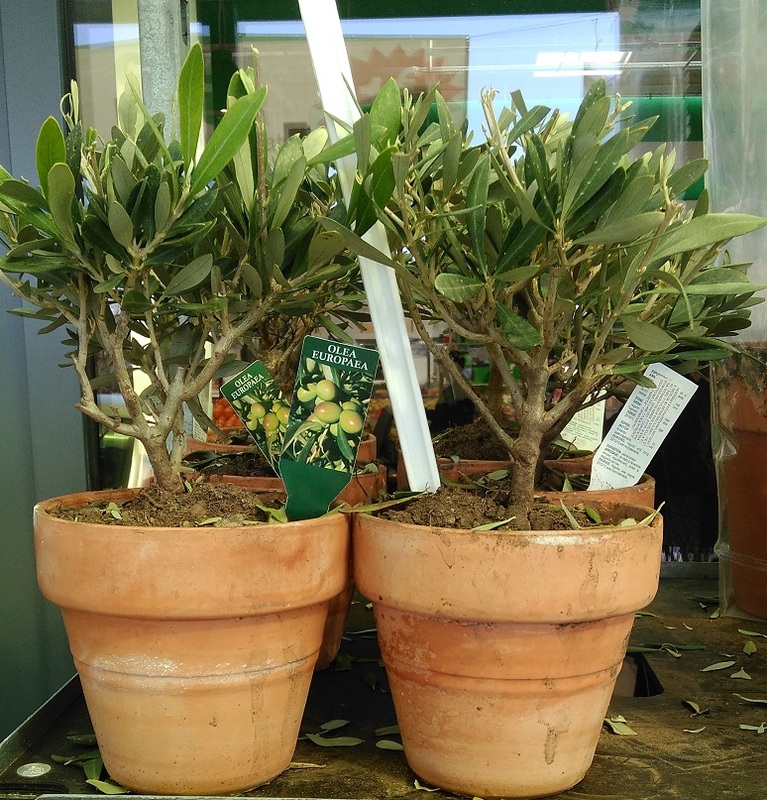 What made me think about today’s topic was when we walked by a display of dwarf olive trees just begging to be taken home with the promise that they would never outgrow their pot. As promising as that sounds, it was going to be a problem for us. We like to travel—a lot. After all, we wouldn’t be living 6400 kilometers (4000 miles) from the shores of the country where we grew up if we didn’t. Obviously then, if we’re off in Spain, Portugal, Italy, Greece, or any of the other dozens of European countries that are just a train or short plane ride away, we’re not at home to take care of the garden. In Pennsylvania we had a sprinkler system on a timer but after a pipe burst and flooded the house while we were on a trip, we started turning off the water before leaving for vacation. So much for the set-it and forget-it concept. I just read that native plants in a Mediterranean climate are able to survive winters that come with lots of rain and then long, hot summers where droughts are common. While that apparently works well for grape vines clinging to hillsides, it’s not ideal for potted plants of any kind, especially in the summer where they might need daily attention to make sure the soil doesn’t dry out. 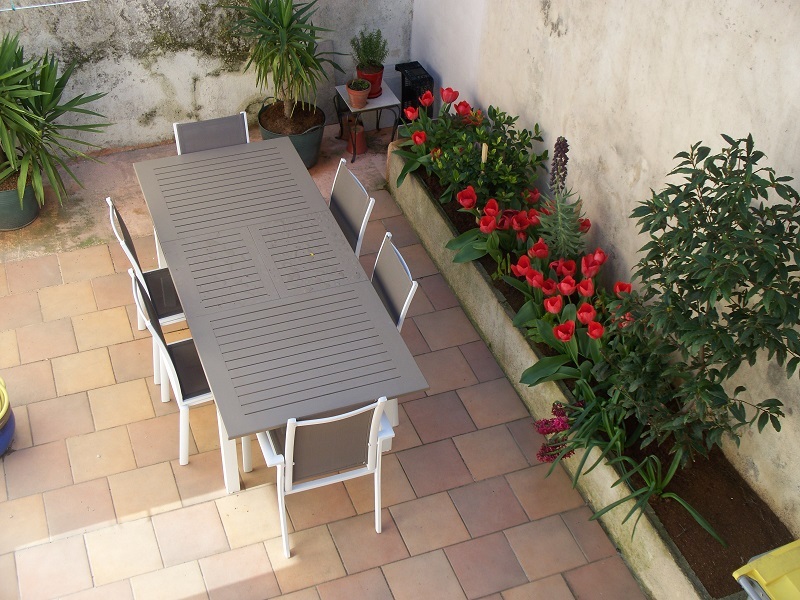 That’s why we were happy to find a house where the courtyard already had deep planter boxes allowing us to avoid the temptation to use pots. To my surprise, a Mediterranean climate is not limited to the area surrounding the Sea with the same name. It applies to southwestern Australia, coastal South Africa, Chile, and pretty much the entire Pacific coast of California. As you might expect, cypress, fig, and olive trees are common as are rosemary and lavender bushes. There was already a bay leaf tree (bay laurel) growing in our courtyard when we moved in. Of course grapes have been cultivated in this part of France for well over 2000 years thanks to the Romans and those before them. Despite our self-imposed pots prohibition, we do have one. We bought it initially to corral the garden hose but a rolling hose reel proved much more suitable for that. It has been pressed into service as our herb garden with plants that are supposed to be drought resistant. With the official start of summer just a couple of weeks away, the proof will be in the “potting”. Posted on June 4, 2017, in Life in France and tagged Americans in Carcassonne, Carcassonne, Housing. Bookmark the permalink. 2 Comments. Having living plants posed such a problem for us too! Since moving into the small apartment in Santa Monica, we first started out with large potted plants surrounded with a few smaller. When we realized that it wasn’t going to work out having friends or family water the plants in our absence, we gave all the plants to friends. Michael purchased two beautiful artificial ficus trees which now sit opposing each other on our balcony. He strung blue solar lights which twinkle when night falls. Our apartment is truly a lock and go now. We are ready to travel the world with you!